The Department of Foreign Affairs (DFA) has confirmed that a female overseas Filipino worker (OFW) in Dubai named Angel Trasadas has indeed died. According to the agency, the Philippine Consulate in Dubai has received a request for assistance from the family of Trasadas in the Philippines. Elmer Cato, a spokesperson for the DFA told GMA News in an interview that the death of Angel Trasadas is currently under investigation. With that said, the concerned authorities in Dubai are not yet able to release her remains. According to news reports, Angel Pauya Trasadas would have turned 34 years old on August 25. She perished on July 29 after allegedly bleeding out due to a pill she took to abort her pregnancy which happened out of wedlock. She was working as a maid in one of the flats within the China Cluster at Dubai International City. A close friend of Trasadas also said that Trasadas has been overstaying in Dubai since 2016. She decided to stay and work in Dubai because it's the only way to support her kids and family back home in the Philippines. Trasadas is from General Santos City in the Philippines. Trasadas had two kids from a previous relationship. The kids are aged 11 and 8. 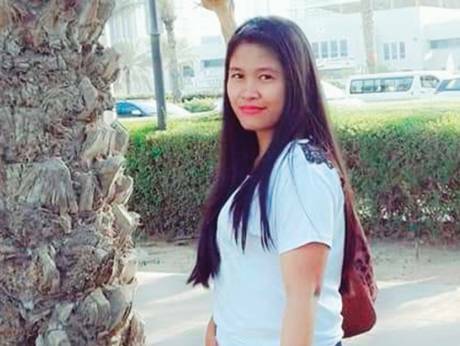 The Philippine Consulate has assured the family of Trasadas that her remains will be immediately repatriated back home to the Philippines once the Dubai police has completed their investigation.